I hope you all had a fantastic Easter and didn't eat too much chocolate! Today I just wanted to pop in and say that I have a new DIY post up on Seams and Scissors! 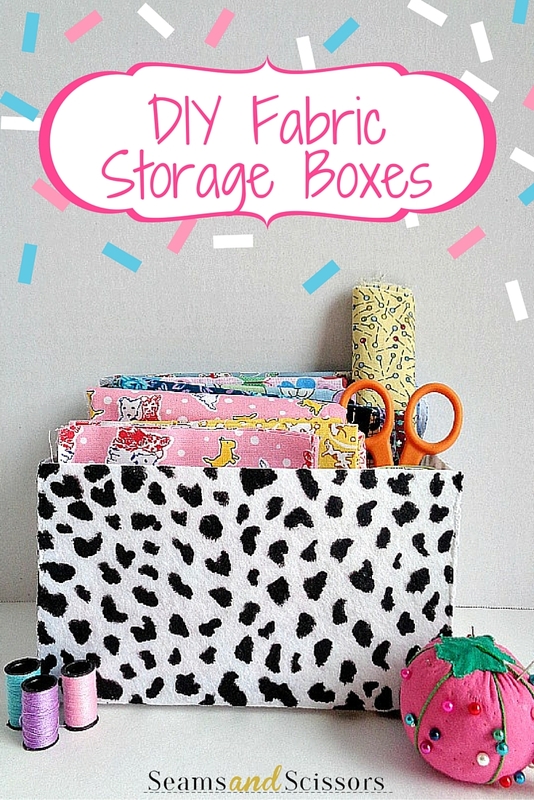 The DIY post that is up on their site is a DIY Fabric Storage Box! I created this fabric storage box to go along with Seams and Scissors ''Spring into Sewing'' week! Basically, this DIY post is a combination of easy sewing and spring cleaning (lol). The project itself is made by using stiff felt and is sewed by hand. Even though sewing by hand may sound intimidating, this project is actually super simply to create! Also (as a fun bonus), I show you in the tutorial how you can create your own patterned fabric! If want to learn how to make your own DIY Fabric Storage Box, then stop on by Seams and Scissors and check it out.